Air conditioning is a very important comfort that many Huntsville residents can’t live without during the hot summer months. That’s why it’s important to be proactive with any AC repair or new AC installation that you have been needing so that you’re covered well before those hot days. We can help with both, but in some instances it just makes sense to replace your air conditioner with a new, more efficient unit. When you work with Beckham & Jones, you won’t just get a new high-quality AC unit, but a company that will go the extra mile to ensure it’s everything you want and need. Considering A New Air Conditioning Installation? 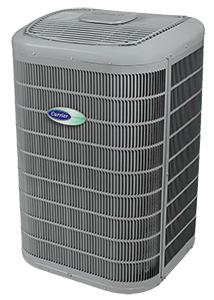 Most air conditioners only last 15-20 years before they need to be replaced, so age is one consideration when considering a replacement unit. Other factors to consider include the cost of utility bills, whether or not the unit is doing a good job cooling the home or if the AC unit needs repair but it isn’t worth it to fix based on its age. If you need help deciding or would like your AC unit diagnosed, give us a call! When it comes to new AC installation, we won’t just come out and sell you on a new unit. No, we’ll go the extra mile to understand your wants and needs, and assess your home to suggest the unit that would work best for your residence and your budget. For more information about new AC installation and why we’re Huntsville’s most trusted AC company, contact Beckham & Jones today.